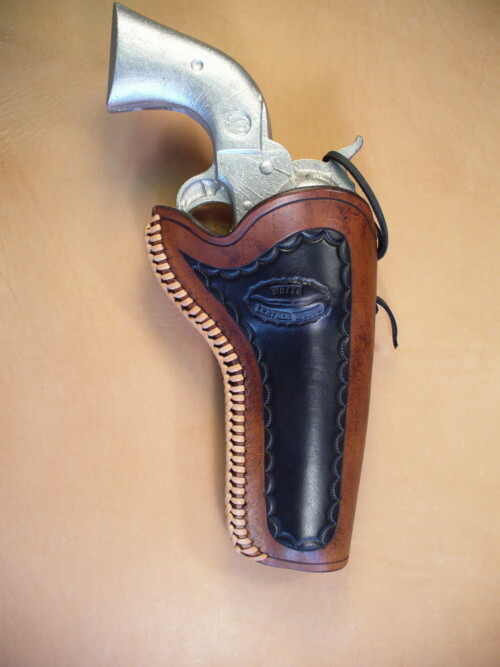 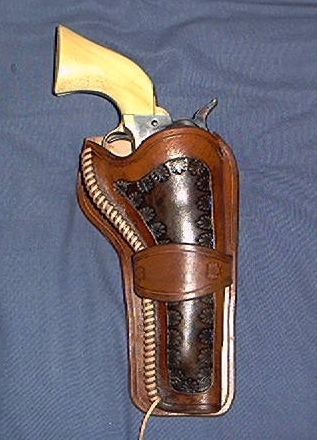 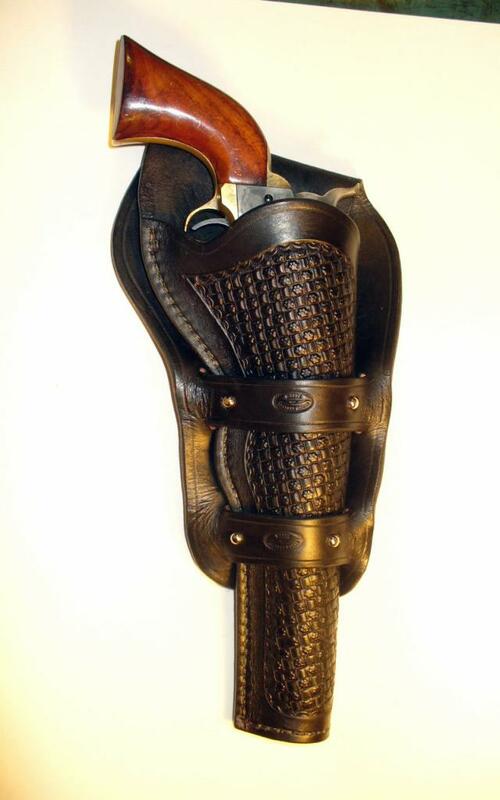 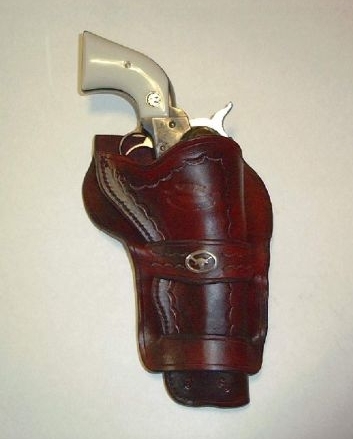 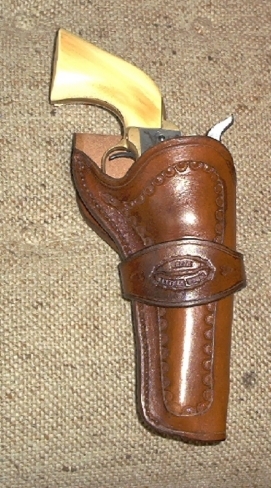 Holsters usually start at 70.00 for most sizes, longer barrelled versions can run a little more. 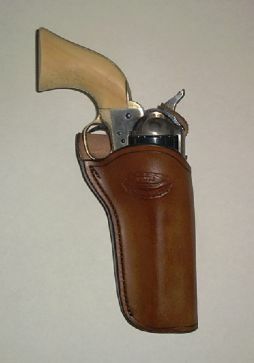 The shoulder holsters start at 125.00 with basic tooling. 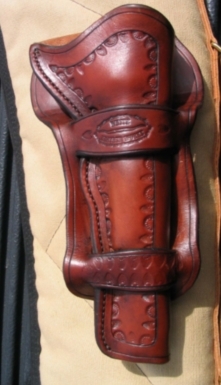 Most are made from 10-12 oz Wickett and Craig vegetable tanned skirting leather to retain their shape to allow for quick and safe re-holstering. 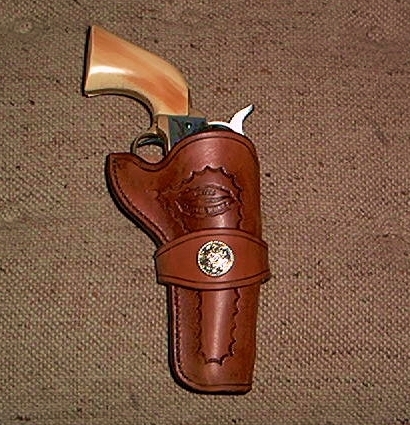 They come with basic tooling which can be expanded upon if you prefer. 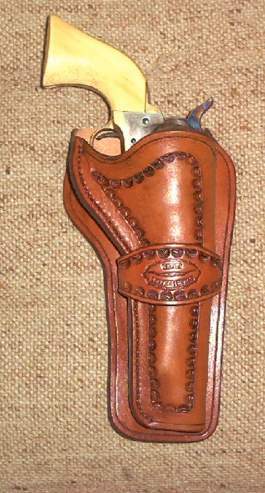 All styles and colors can be combined to suit your needs. 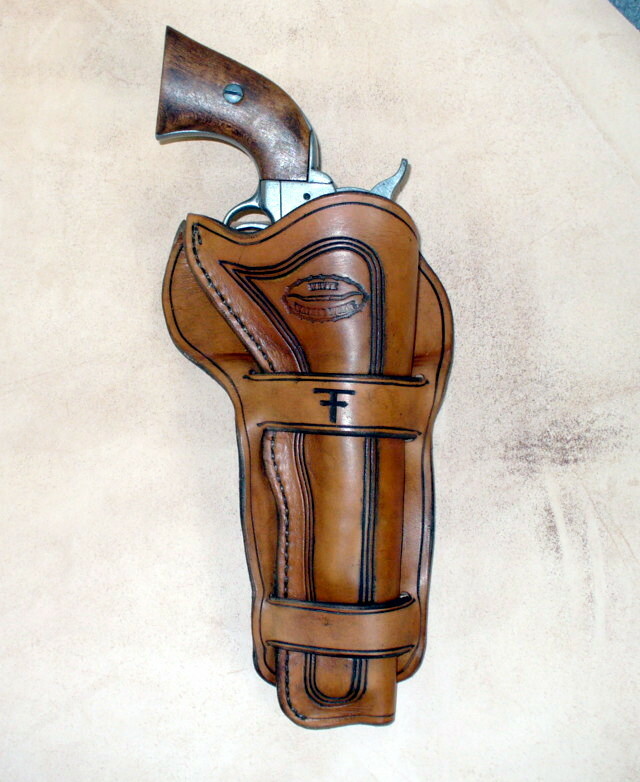 All are hand sewn, custom made and wet molded to your style pistol, no generics. 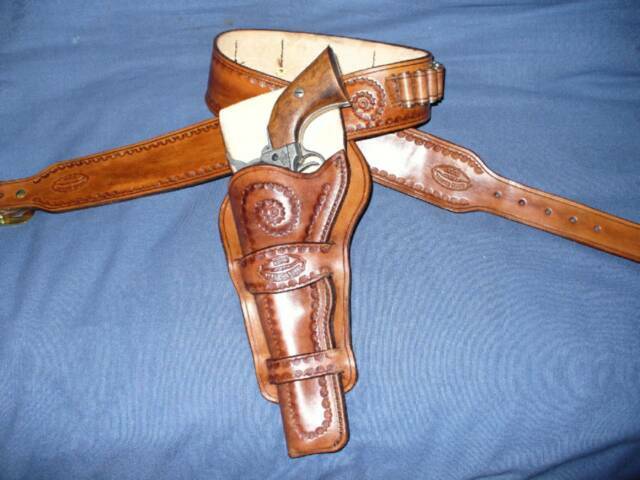 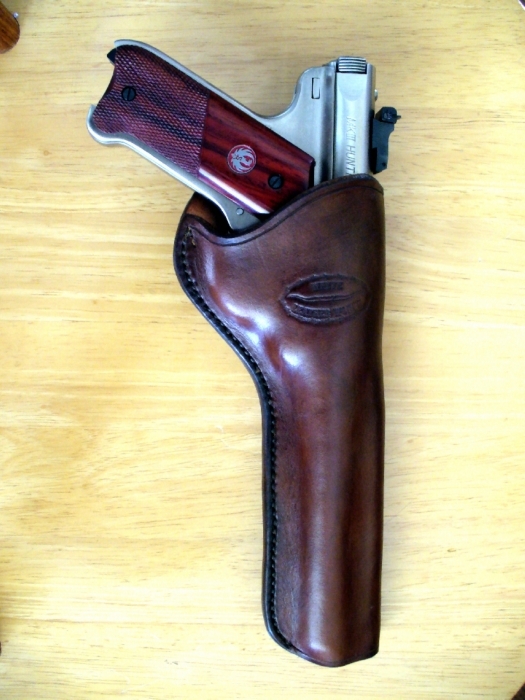 Holsters are available in Chestnut (reddish brown) dark brown and black. 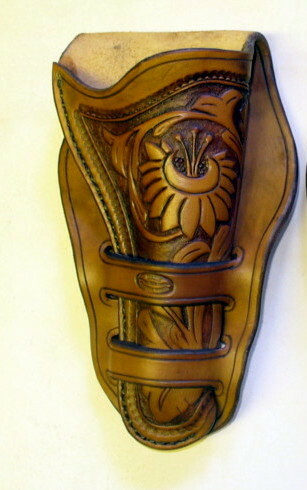 An antique finish can also be added to bring out the tooling if desired.